In The Eye-Dancers, when Mitchell Brant, Joe Marma, Ryan Swinton, and Marc Kuslanski find themselves in the variant town of Colbyville, they experience profound feelings of homesickness. They are, quite literally, a universe away. Amid the obvious differences they encounter in this strange and foreign place, they take some small comfort in the familiarities they find. Which of course is a normal thing to do. Certainly when I’m somewhere unfamiliar, and feeling especially out of sorts, I tend to gravitate toward those things that remind me of places I know well. I wrote the very short story “Myron” a few years ago. It explores just this theme–familiarity, permanence, trying to cope with the onslaught of time and change, even in the face of real or potential tragedy. The narrator of this story, in his own way, feels very similar emotions to those experienced by the four protagonists of The Eye-Dancers. I hope you enjoy the story . . .
Myron wasn’t on the bus that day, and I wondered where he was, if he was okay, and if what I had sensed yesterday had been real or imaginary. But I didn’t want to think about that. I just looked around at the familiar surroundings of the bus. Across the aisle from me was the old man in the turtleneck. He always lugged an oversized black briefcase with him, and once in a while, he’d be on the receiving end of a seatmate’s complaint. But that did not deter him. If anything, it seemed to motivate him to continue bringing the gigantic briefcase onboard. Then there was the young businesswoman. She always came on five stops after mine, and she always sat at the back of the bus. The regulars never took her seat. If someone was in her seat, it was a newcomer, someone who didn’t know the rules yet. She would glare at the person, and the next day that seat would be hers again. When she passed by my seat, I usually had to rub my eyes because they watered from the perfume she wore. I don’t know what perfume it was, only that she wore far too much of it. And of course, there were the Stack brothers—Tony and Drew. They worked at a LoDo software firm, and they always sat together and talked loudly. They generally talked about sports (especially the Broncos), the stock market, and dating. Most of the time, they annoyed me and I’m sure many of the other passengers as well. But no one told them to be quiet. They always got off long before I did, anyway. There were a few other regulars, too, but most of the passengers were in a state of flux or a period of transition. They rode the bus for a few days, maybe a few weeks, and then they were gone. When Myron first got on the bus, over two years ago, I had no reason to think he would become a regular. But as the weeks passed and he kept appearing, it was apparent he was there to stay. 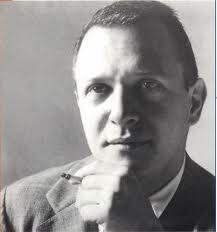 Myron rarely talked to anyone, and he always looked the same: short slicked-back hair, neatly combed; gold-rimmed glasses that made him look scholarly, bookish; small brown briefcase that was always crisp and shiny; unwrinkled dress pants; beige two-button blazer; black tie. I never actually learned his name. I just started thinking of him as Myron. Not sure why, really. He just seemed like a Myron, that’s all. He looked like an accountant or a banker. Everything always ordered, always in place. Myron was constant. He never took a vacation day. 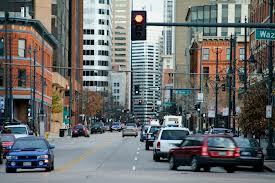 Every morning, he would quietly board our number 57 bus at the corner of Speer and Downing, quickly show the driver his bus pass, nod a curt hello, and take his seat. He generally sat on the driver’s side toward the middle of the bus. But mostly, he seemed to want a seat to himself. If his usual seat was not empty, he’d find another that was. If no seat was empty, he’d stiffly (and reluctantly) sit beside someone. I would look at him, not being too obvious, of course, and marvel at his sense of detachment, his calm, almost robotic exterior. When he got off, I would think, So long, Myron. See you tomorrow, old pal. Only that day, he hadn’t been on the bus. I recalled the previous morning, there was something a little different about Myron. He was quiet and stoic, as always, but there was something . . . I couldn’t put a finger on it. He sat by himself and silently looked out the window as the bus made its familiar rounds. But just before he got off, just before he left his seat, I saw a teardrop escape from under his glasses. It slowly meandered down his cheek, and he wiped it away, still with that air of detachment. Then he left the bus. I watched him merge with the people on the sidewalk, and then the bus pulled away from the curb, and Myron was gone. I couldn’t grasp that he had been crying. 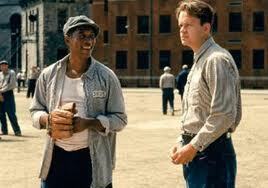 He was Myron. He was steady, as reliable as an expert clockmaker’s masterpiece. He didn’t cry. I was sure the next day, everything would be back to normal. But it wasn’t. Nor the next day. Nor the day after that. An entire week passed and still no Myron. This was unheard of. Had something terrible happened? Had his mother died in a sudden accident? Had he lost his job? Was his wife ill? He didn’t wear a wedding band, but not all married men do, so I couldn’t rule the possibility out. I just knew I missed him, his calm, unchanging presence. I felt like things were too fragile without him. The other regulars seemed not to notice his absence. Tony and Drew Stack continued their high-volume conversations, arguing daily about the Broncos and their chances for the playoffs. The old man in the turtleneck continued to drag his huge black briefcase onto the bus with him, and he even took the seat Myron favored much of that week. Where’s your loyalty? I wanted to ask him. He was a regular. He should’ve known better than that. Show some respect. And the young businesswoman continued to horde her seat at the back of the bus. At first, she ignored me, perhaps not realizing I was talking to her. But when I repeated the question, she turned in my direction. It was the first time I had really looked at her, closely. She appeared to be a little older than I had always thought—mid thirties, maybe; about five years older than I was. She wore a lot of makeup, and her lips were so red I couldn’t help but stare. “Sure,” she said. 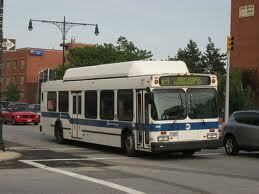 “It’s always busy on this bus.” She seemed unfriendly, like she didn’t want to talk to me. “It helps that you always get the same seat, though,” I said, not sure why I was pursuing this with her. She nodded. “I like this seat. It’s away from things. And it’s familiar.” With that, she faced front again, effectively ending the conversation. Familiar. Yes. That made sense. When I was three, my last surviving grandparent died of a heart attack. I don’t remember it. No one else close to me has died. My parents had me when they were in their late thirties, but they are in excellent health still. My two older sisters and three older brothers are all fine, and their spouses and children are fine, too. I haven’t married yet. I remember a conversation I had with my mother when I was six. Somehow, my grandfather came up—the one who had died of a heart attack when I was three. “What did Granddad die of?” I had asked. “Granddaddy had a heart attack, Mark,” Mom had said. I nodded, feeling so safe with my face buried against her shoulder. I never wanted her to die. “You promise you won’t die, Mom?” I asked. I felt her arms tighten around me. But she didn’t answer. I stayed that way, in her arms, for a long time. When I went to sleep that night, I dreamt that she had died in a car crash. I woke up screaming. She came into my room and after listening to my hysterics, she calmly explained that there had been no car accident, that she was perfectly okay. She invited me to sleep with her and Dad that night. So I did. The next morning, my brothers mocked me and called me a baby, but I didn’t care. Mom could never die. Never. I couldn’t let that happen. And it hasn’t. I wonder how much I’ve changed, grown up, since that day almost twenty-five years ago. I still can’t imagine my life without Mom and Dad, without my brothers and sisters. My parents live far away now, in Florida, but just knowing they’re there, knowing they’re doing well, makes me feel the same now as it did when I was six. The particulars may change. Hair may thin and gray. Wrinkles may crease the forehead and smile lines may carve living testimonials onto faces, but the essentials remain unchanged. The permanence endures. On a snowy November Monday morning, two weeks after his disappearance, Myron came back. He climbed the bus steps, showed the driver his bus pass, and nodded hello. He took his familiar seat toward the middle of the bus, on the driver’s side. He looked out the window as the bus pulled away from the curb, watching the fat snowflakes accumulate on the sidewalk and brush against the ice-caked pane. It seemed as though nothing had changed. The routine clicked right back into place. But something felt different about him. His behavior, his appearance, these were the same as before. But there was a change. It wasn’t the sort of thing you could see or put your finger on. It was something you felt, beneath the rational refuge of logic or the concrete reality of your perceptions. And I knew that someone he loved had died or was incurably ill. Even though I never asked Myron about this, I knew. I had never been more sure of anything in my life. There was a mark on Myron that said, “Look at me. I’ve just stared tragedy in the face, and it sucked my spirit dry. Look at me! Look at me, because soon, you’ll be in my place, too.” Maybe other people would not notice it, that mark that had not been there before, but I did. Heaven help me, I did. But as the days passed and Myron’s routine stayed constant, I found it was easier to overlook that mark and pretend that Myron had never left, that nothing terrible had happened to him, that everything was the same as it had always been. The alternative seemed too terrifying, too much like acknowledging that life is transitory and that everything you love will pass away. Thanks so much, as always, for reading! I want to thank Valentina at carmenisabelgonzalez.wordpress.com for nominating The Eye-Dancers site for The Very Inspiring Blogger Award –2013. Please visit Valentina at her site–it is a wonderful and diverse platform where I’m sure you’ll want to spend some time browsing around and enjoying all of her great posts. I also wanted to mention that Carissa at ramblingsofabipolarwoman.wordpress.com had nominated me for The Very Inspiring Blogger Award recently, as well. Apparently, this is a very similar award, but not quite the same one! I had already been fortunate enough to have been nominated for this award late last year, but The 2013 Very Inspiring Blogger Award nomination allows me the opportunity to share with you Carissa’s wonderful site. I hope you’ll check it out! 1. I am a big fan of Alfred Hitchcock movies. “The Master of Suspense” was a remarkable and groundbreaking director, and his resume is jam-packed with cinematic triumphs. 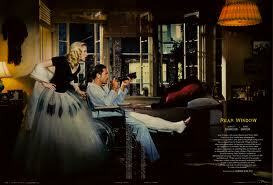 My favorite Hitchcock movie is Rear Window. Only a very accomplished and confident director would tackle such a script, where the entire film takes place in one room of a small apartment. A real masterpiece of a movie. 2. At the age of two, I declared I would never wear a short-sleeved shirt again. (I called them “arm shirts” when I was little.) And, to this day, I have, with only very few exceptions, kept my word! I’m not sure why, exactly, but I have always been more comfortable in long sleeves, even on the hottest of summer days. 3. Some people have asked me which of the four main characters in The Eye-Dancers I most relate to. Well, the four protagonists in the novel are inspired by some of the neighborhood friends I grew up with. 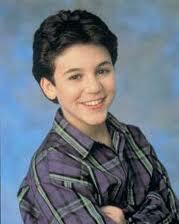 That said, I am probably most like Mitchell Brant. 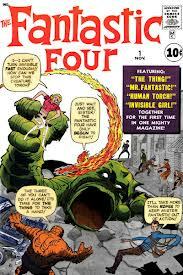 When I was Mitchell’s age, in junior high, I shared his shyness around girls, his love of comic books, especially The Fantastic Four, and his overactive imagination. So, Mitchell has a special place for me among all the characters in the book. 4. 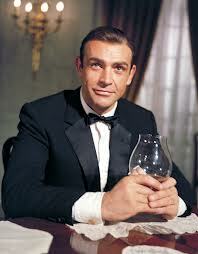 I have enjoyed James Bond movies for many years, but to me, there is only one real 007, and that is Sean Connery. Pierce Brosnan was good, too, but none of the other actors in the series can match the original Bond. 5. I took German for three years in undergraduate school, but today I have forgotten almost all of it–due to disuse. I can still count in German, and there are a few words and phrases I remember, but if I had to converse with someone in German, I wouldn’t be able to understand 99% of what they said. I regret that, because I enjoyed the language when I studied it. It just illustrates that the best way to learn a new language is to immerse yourself in the culture for a while, and really talk to people. 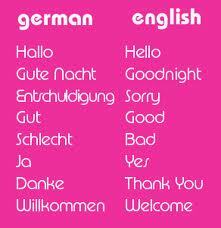 Classroom learning of a foreign language can take you only so far. 6. 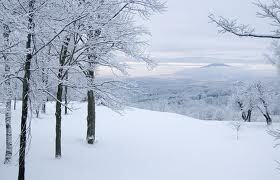 Even though I grew up in Rochester, New York, and now live in Vermont, I do not like winter! And I am fed up with snow. For the most part, I spend the winter looking forward to spring. People sometimes laugh at that and say, “You don’t like the snow, but you live in Vermont?” I always counter by saying I enjoy the other three seasons in northern New England. So–three out of four isn’t too bad . . .
7. 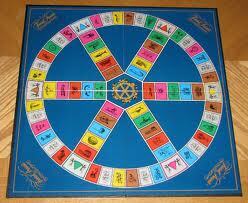 My favorite board game is still Trivial Pursuit. When I was a teenager, my parents would invite some of their friends over for one Saturday night each month to play, and I would always join in. In time, we managed to acquire eight different versions of the game (the regular trivia box, a sports edition, a movies edition, a Baby Boomer edition, a TV edition, a Vintage edition–you name it, we had it!). So, here we were, playing the game, and when someone landed on a color on the game board, their team had to choose which box they wanted a question from. For instance, if you landed on a Pink square, you could choose Entertainment from the regular box, Titles from the Movie box, Football from the Sports box, Sitcoms from the TV box, and on and on. It became a tough decision just to figure out what category you wanted, let alone answering the question! The games were a lot of fun, though. 8. I can be long-winded sometimes. See questions 1–7 above as proof . 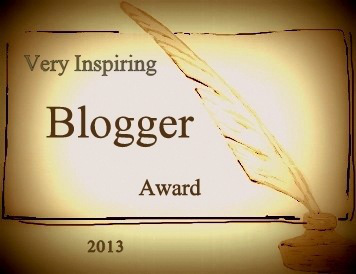 . .
And now it’s my privilege to nominate the following websites for The Very Inspiring Blogger Award — 2013! Please visit these sites. I’m sure you’ll enjoy them as much as I do . . . Thanks again to Valentina and Carissa for nominating The Eye-Dancers! And thanks so much to everyone for reading. 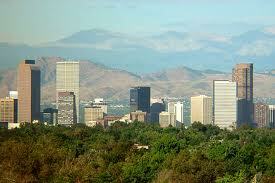 When I was growing up on the east side of Rochester, New York, my family had a tradition. The first Sunday of every December, we’d head to Wambach’s Farm Market a few miles up the road. There, usually in cold and biting weather, we’d stroll through their selection of Douglas-fir trees, looking for the “perfect” tree for Christmas. Some years, we’d bicker among ourselves. My two older brothers might like a particular tree. My sister might like another, and I might want yet another. Being the “baby” of the family, my vote probably counted a little more than it should have, much to the chagrin of my siblings. The memory of my family’s annual outing to the farm market, hunting for our Christmas tree, is now an old one, going back to the 1980s. And yet, even today, when I’m in a pine forest or beneath a fir tree, the scent of the pine takes me back. That is one thing I recall vividly from those Sunday mornings in early December, years ago. I remember the sting of the cold on my face, the wind whipping in off of Lake Ontario just a few miles away. I remember the arguments–annoying at the time, but fun now, looking back. “I like that one!” “No, that one’s no good. 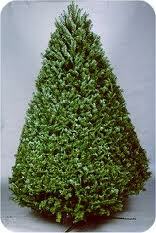 Let’s pick this one!” But most of all, I remember the scent of pine needles. And when I smell that fragrance today, in my mind, I am transported back two and a half decades to the farm market and the Christmas trees. . . .
It’s a very specific memory, of course. It’s my memory. My experiences. But at the same time, it’s yours, too. 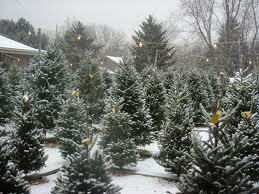 Maybe you didn’t go on family excursions to the farm market when you grew up, picking out that season’s Christmas tree. (Or maybe you did.) Maybe you didn’t celebrate Christmas at all. It doesn’t matter. Because, very likely, you have a similar memory. The specifics, the details, the circumstances, may be very different. But the heart, the essence, is the same. 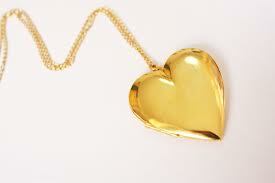 In The Eye-Dancers, near the end of the book, Mitchell Brant puts a gold, heart-shaped locket around his neck. He realizes he might be laughed at. It’s not the kind of thing you’d expect a boy to wear. But he has just said good-bye to a very special friend. He had met Heather only a few days ago, yet connected with her on a level he’d never experienced with anyone else. The problem is–she lives in a different plane of reality. He can’t stay. He has to leave. She gives him her locket to remember her by, and I’m sure, years later, he will look at it again and remember. . . .
And, it is my hope, this sequence in the story will resonate with readers. On the surface, this seems laughable. How can you relate to someone who has fallen for a girl in a different universe, a different sphere of reality? Underneath the details, however, we see a boy, growing up, entering adolescence, saying good-bye to what really is his first girlfriend. He knows he will never see her again. And that kind of feeling–losing a first love, saying good-bye when it breaks your heart–we can all relate to, in some shape or form. 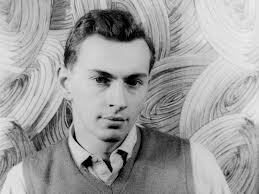 It strikes me that one of the keys to creative art of any kind (be it a poem, a novel, a song, a painting . . .) is tapping into your own highly personalized experiences, and then sharing them with people you don’t know. They don’t know your personality. They didn’t grow up with you, don’ t know your friends. They might have a completely different culture and point of view. And yet, despite the differences, your words, or melodies, or brush strokes somehow bridge the gap between you. They touch your audience, move them, perhaps even bring them to tears. When I read about (or watch, if I’d rather see the movie) Andy Dufresne get convicted of a crime he never committed in The Shawshank Redemption, and then slowly and methodically execute his escape from prison over a period of two decades, I am riveted. When he is able to instill a sense of meaning, of hope, into the lives of some of his fellow inmates, most notably the character “Red,” I am moved. When, in the movie, “Red” says, at the very end, “I find I’m so excited, I can barely sit still or hold a thought in my head. I think it’s the excitement only a free man can feel, a free man at the start of a long journey whose conclusion is uncertain. I hope I can make it across the border. I hope to see my friend, and shake his hand. I hope the Pacific is as blue as it has been in my dreams. I hope” — I am on the cusp of tears. And yet . . . I have never been convicted of a crime. I have never been to prison. I can’t relate, on the surface, to being locked up for twenty years for a crime I never committed. But it doesn’t really matter. The story moves me just the same. Because somewhere, somehow, the feelings Andy Dufresne feels, the sense of loneliness, isolation, and, ultimately, friendship are feelings I have known. We all have something to say. Think about a personal memory. Perhaps it is comforting, and brings a smile to your face. Maybe it’s painful. Maybe it’s bittersweet, and nostalgic. Jot it down. Sing it. Draw it. Paint it. Write about it. Chances are, even though it’s something that only you experienced, it will still reach and move, affect and inspire others. It is uniquely, yet universally, yours. There is no question that independent publishing is taking the world, and particularly the e-world, by storm these days. With each passing week, it seems, the publishing world continues to evolve, and more and more indie books, especially e-books, become available. The Eye-Dancers joined that list a couple of months ago, and it’s been a true pleasure interacting with fellow bloggers and indie authors. One of those authors, M.S. Fowle, is hosting The Share The Love Campaign this weekend. It’s a wonderful idea. Today, tomorrow, and Sunday, Mel is featuring several indie books on her site (The Eye-Dancers among them) as part of this campaign, including her own book The Sire. I strongly encourage everyone to click on the link and check out The Share The Love Campaign, and to browse around Mel’s great site. As part of the campaign, many of the authors involved are issuing a giveaway for their featured book, and The Eye-Dancers is no exception. So . . . for three days–today, tomorrow, and Sunday (February 15–17), The Eye-Dancers is available for free. If you’d like to read it, free (there’s that word again! ), please just send me an email at michaelf424@gmail.com and let me know which file format you’d prefer. And there’s no limit to the number of giveaways. However many people contact me, that’s how many free copies will go out this weekend. . . .
As I’m sure has been apparent in this blog, I am a big fan of vintage things–old comic books, TV shows, movies. . . . And it’s hard not to see something of a parallel between the indie and e-book publishing boom of today and the television boom of the 1950s. 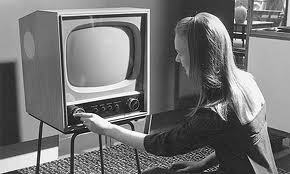 Back then, TV was the sparkling new home entertainment platform. It could have gone in any direction–it represented a grand and exciting opportunity for writers, directors, producers, and actors. And in those early years, it attracted top-notch talent. 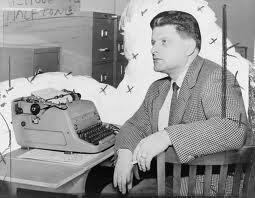 Many of the writers for television back then were playwrights. 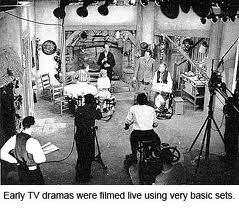 Since most TV programs in the early and mid-1950s were live, they were, in effect, televised plays. The audience watching at home was viewing the actors in real time. Not filmed or pre-recorded. If an actor forgot or butchered a line, the gaff was instantly seen by millions. Some of the live shows were anthologies–featuring dramatic plays each week. 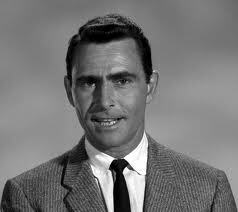 Playhouse 90, The Philco Television Playhouse, and Kraft Television Theatre were among the most notable, and master wordsmiths such as Reginald Rose, Paddy Chayefsky, Gore Vidal, and Rod Serling (in his pre-Twilight Zone days) contributed first-rate scripts. It was an exciting time, opening up new vistas of creativity and opportunity. Movie theaters were concerned. As early as 1952, the theaters adopted wide-screen and 3-D processes, utilizing technology television couldn’t match in those days, hoping to entice people to return to the movies. With the rise in TV’s popularity, movie audiences shrank. The established industry (the Silver Screen) took note of the newcomer television, and though it may have thumbed its nose at the upstart, it respected the threat and acknowledged the competition. It is much the same today. The established publishing world has had no choice but to respect and take seriously the rise of the e-book and of the indie author. And promotions such as The Share The Love Campaign further the indie cause even more. Once again, I would like to thank M.S. Fowle for hosting this great event. She and all of the indie authors like her are this generation’s equivalent to Rod Serling, Reginald Rose, and other playwrights from television’s Golden Age. Perhaps one day, years from now, they will call the second decade of the twenty-first century a Golden Age in publishing, when the tide of the industry changed irrevocably. And if indie authors unite and continue to take part in programs like The Share The Love Campaign, then, surely, that change will have been for the better. “Some people pass through your life, and you never think about them again. Some you think about and wonder–what ever happened to them? And then there are those you wish you never had to think about again. Now the scene shifts back two decades and we see the twelve-year-old Kevin, in seventh grade. In gym class, it’s the first day of square dance. The teacher is pairing up boys and girls to be dance partners for the week. Kevin hopes for a popular girl. But when he’s paired up, it’s with Margaret Farquhar, the class outcast. Everyone thinks of her as the strangest student in the class. Kevin groans, and wishes he could escape. But he’s stuck. He needs to dance with the seventh-grade pariah for the entire week. Maybe some viewers rush to judgment here. Why should he be so concerned about what others think? About how his classmates view him, and what they’ll say about him dancing with Margaret Farquhar? But of course this is junior high. Image, as Andre Agassi once said in a commercial, is everything. Certainly, in The Eye-Dancers, this is something both Mitchell Brant and Ryan Swinton can relate to. Mitchell continually puffs himself up with exaggerated tall tales and even cheats on tests sometimes to get better grades. When he’s being honest with himself, he acknowledges that he’s jealous of the popular boys in his class. He can tell all the stories about himself he wants. He’ll never be popular like them. And it hurts. Ryan, on the other hand, desperately wants to be liked, and he pursues this desire by playing the role of the class clown. He feels a tremendous amount of pressure to make people laugh, to always have jokes and punch lines on demand. When he tells a joke and no one laughs, it’s the worst feeling in the world. 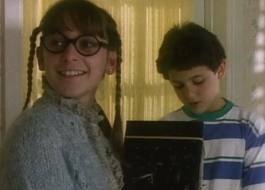 Nevertheless, he is still appalled at the prospect of dancing with or even talking to her at school. So when, the next day, she approaches him in the hall, all smiles, happy to see him, he tells her they can’t talk anymore. At least not in front of anyone. “Maybe we can be . . . secret friends,” he tells her. At this, she finally gets the message. All week long, he had been sending her signals that he couldn’t be seen with her, didn’t really want to dance with her. But she hadn’t taken the hint. Now she at last sees the situation as it really is. This causes a scene. Other students gather around, mock her, pick at her, as they always do. Meanwhile, Kevin just stands there. It was Margaret who did the talking. “I thought you were different,” she says, and then walks away. The closing sequence of the episode takes us back to the present day, twenty years later, as the adult Kevin looks at Margaret Farquhar’s picture in his old junior high yearbook. And here the episode ends . . . This is something both Mitchell Brant and Ryan Swinton must face and wrestle with over the course of The Eye-Dancers. True, the novel is a sci-fi adventure about parallel worlds and dreams and the interconnectedness of all things. Hopefully it takes readers on a wild and imaginative ride. But at its heart The Eye-Dancers is a story about growing up, about adolescence and confronting the struggles that accompany it. In his classic short story “A Sound of Thunder,” first published in 1952, Ray Bradbury explores the concept of connectivity–the way things, even things that seem so small, or so far away, are intricately interrelated. In the story, which takes place in the year 2055, a company called Time Safari, Inc., has the ability to transport big-game hunters into the distant past via a time machine, where they can hunt dinosaurs. But everything is very carefully calibrated and forecast. In the world of sixty million years ago, company engineers have constructed a path, which cuts through the ancient landscape six inches above the earth. Nowhere does the path touch the ground. Company guides continually instruct the hunters who take the trip into the past never to leave the path (which is spelled with a capital “P” in the story to give it emphasis). Not one step. Not one speck of the ground on your shoes. Time Safari, Inc. has even scouted out which dinosaurs will be killed naturally–perhaps by a falling tree or the attack of another dinosaur. And they send advance guides into the past to spray-paint a red blotch on the soon-to-be-killed creatures. Then, when the tour arrives, the machine is calibrated to arrive only minutes before the targeted, spray-painted dinosaurs were to be killed. In this way, the balance is not disturbed. 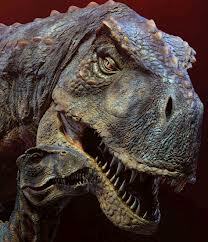 Any dinosaurs shot by hunters on the tour were about to die anyway. 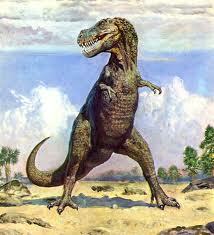 Eckels has signed up to hunt the tyrannosaurus rex, the thunder lizard. He wants a chance to hunt the fiercest predator ever to walk the earth. 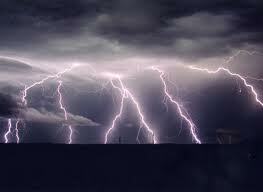 But when the moment arrives, Eckels panics, overcome with fear in the face of the thunder lizard. In his panic, he momentarily steps off the path, accidentally crushing a butterfly. When the time machine returns to the present day, Eckels is astonished to note that it’s not the same world he left behind when he ventured back into the past via the time machine. There is a different president, the language is slightly off. It’s like a different, alien world. All from one butterfly, sixty million years in the past, which he inadvertently killed in his moment of confusion and chaos. The Eye-Dancers deals with the idea of connection, too. In fact, one of the major themes of the novel might be summed up like this–What if two people, two complete strangers, are connected in such a way that when one of them is in desperate need of help, she is able to communicate with the other through the vehicle of dreams? It doesn’t matter that they are separated by the gulf of a universe, that they exist in different layers of what we term reality. It doesn’t matter that they don’t know each other. The connection exists anyway, in ways no one can fully understand. Maybe, just maybe, the universe, or the multiverse–if you buy into parallel-worlds theory–while infinite, and so vast it boggles and overwhelms the mind, is also small enough where everything affects everything else. Just like with Ray Bradbury’s short story about the butterfly and the great thunder lizard from sixty million years ago. So right now, even if it’s calm and sunny, or cold and snowy, or crisp and serene with the stars shimmering in the night sky like precious jewels where you are–somewhere, at this very moment, there is a storm, and Mother Nature is displaying her power and strength. You can’t see it. It’s miles away. Maybe continents away. But listen. Closely. Closely. Can you hear it? 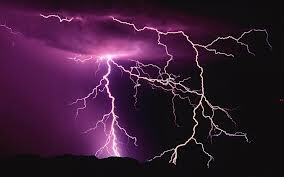 A sound of thunder . . . 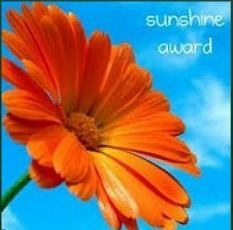 Thanks so much to Lisa at sheslosingit.net for nominating The Eye-Dancers site for a Sunshine Award! If you haven’t had a chance yet to check out Lisa’s site, please take this opportunity to do so. It’s a great, informative, and inspirational place to visit! (And if you have had a chance to visit her site, I’m sure you’ll be back there many times.) Thanks again so much, Lisa! The Rules: Post the Sunshine Award image, answer the following 10 questions and note 10 blogs you wish to nominate. Favourite colour: I have always liked the color green–the color of springtime after a long New England winter. There’s nothing quite like it. Favourite animal: This is very hard, actually. I love many animals, and I honestly can’t choose just one as a favorite. I can say–when I was very young, my favorite animals were snakes. One time at the zoo, when I was about six, there was a grass snake slithering around the grounds. I bent down, picked it up, and my mother wasn’t too happy about it. But a zoo worker was nearby and she praised me for knowing how to pick up and handle the snake properly. I guess that compliment stayed with me, as I’m remembering it all these years later! Favourite number: Twelve! With twenty-seven a distant second . . .
Favourite non-alcoholic drink: Just plain water. 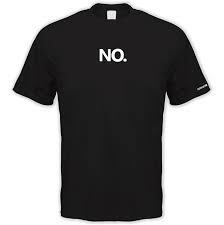 Facebook or Twitter: Facebook–mainly because I’ve never had a Twitter account! My passion: There is nothing like writing something–a story, an essay, anything creative–and having it move others in some way. If a story of mine causes you to think of something in a slightly different way, if it makes you laugh or cry, if it makes you want to yell at the characters or just sit back and smile–well, that’s an incredible feeling. I hope The Eye-Dancers does all of that and more. Favourite day of the week: Saturday, probably. It’s the day I can sleep in a little and it kicks off the weekend. Favourite flower: The wild lupins that grow along the roadsides in summer on Prince Edward Island, Canada–my favorite vacation destination. The beautiful flowers turn an already magnificent natural landscape into a palette of vibrant colors. These are all great and eclectic sites. I highly recommend them, and hope you stop in at each one for a long and enjoyable visit. Thanks so much again, Lisa, for the award! And thanks to everyone for reading.